Celebrating its 70th running this year, the Fuji Mountain Race took place on Friday, July 28. As in past years, the first 10.8 km from Fujiyoshida City Hall at 770 m elevation to Umagaeshi at 1450 m was a gentle climb on paved roads. From Umageshi runners enter trails, and for the kilometer from Hanagoya at the 7th Station all the way to the 8th Station it becomes a very difficult 40-degree incline climb. After that runners pass through an area of rough volcanic rocks as they approach Mt. Fuji’s summit. Peaking out with a net elevation difference of 3000 m, the 21 km Summit Course continues to gain a reputation as Japan’s premier mountain race. Last year bad weather forced the race to be stopped at Mt. Fuji’s 5th Station, meaning that this year’s race would be the first time in two years that runners would finish at the peak. In this year’s 70th running, former Hakone Ekiden uphill Fifth Stage standout Shun Gorotani (Comody Iida) won in 2:31:34, an excellent time just 3:53 off the course record. In the women’s race, world-class Sky Running Vertical Kilometer runner Yuri Yoshizumi won in 3:01:17, the fastest women’s winning time since 1988. Both won in their first attempts at the Summit Course. Men’s winner Gorotani is just 24. 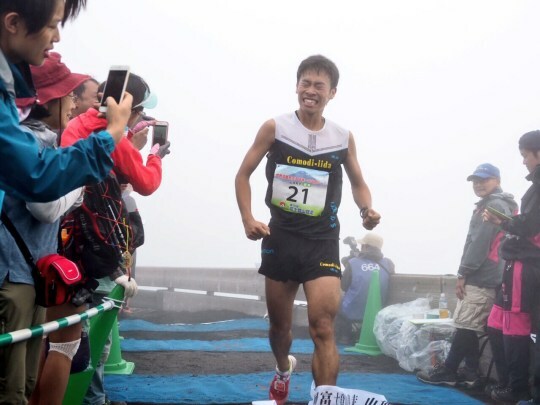 As part of Toyo University‘s ekiden team he ran the Hakone Ekiden twice, finishing an outstanding 3rd on the uphill Fifth Stage in 2016 behind stage winner Daichi Kamino (Aoyama Gakuin University). Gorotani now runs for the Comody Iida corporate ekiden team. Last year he won the Fuji Mountain Race 5th Station short course, breaking the course record by a wide margin. Having qualified for the Summit Course, Gorotani returned to live up to expectations with another superlative win. Taking control of the race early, Gorotani opened up a lead of 14 minutes over 2nd-placer Satoshi Kato, yet another runner-up finish for Kato. Gorotani was misdirected by course marshals very early in the race, but officials judged the error to have had no impact on his result. Women’s winner Yoshizumi began running as an amateur after she began working full-time, winning the 2013 Hokkaido Marathon in a PB 2:37:56. Changing her focus to trail running in 2015, Yoshizumi won the 2016 Sky Running Japan Series’ Vertical Kilometer Series title. In December last year she won the Sky Running Asian Championships MSIG Lantau Vertical Kilometer, and in May this year she won the Vertical Kilometer World Circuit’s Transvulcania Vertical Kilometer against Europe’s best athletes. Outside of the Vertical Kilometer, she finished 13th in last year’s IAU Trail World Championships Trans Peneda Geres 85 km, competing at the world level from her home base in Osaka. 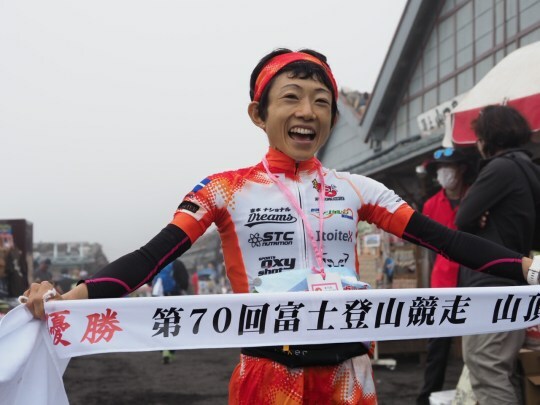 Like Gorotani, she won the Fuji Mountain Race 5th Station Course last year before coming back to win the Summit Course this year, finishing 9th overall. 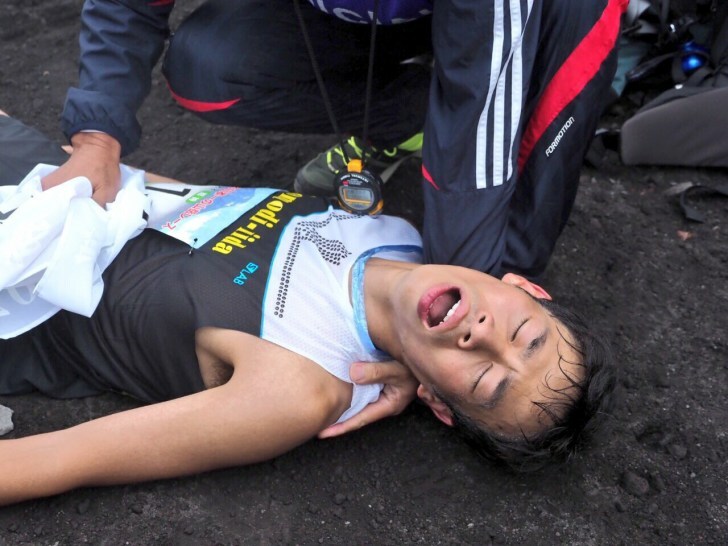 Starting this month, I will be writing and publishing on this blog about the Rules and Regulations of the Bataan Death March 102K & 160K Ultra Marathon Races for the appreciation of those who will be joining the 2018 edition. These rules and regulations had been published on this blog but for better appreciation and awareness to all the runners, I will post each rule/regulation for each post so that I can make some stories of our observations on some of the violations or tell to everybody the reason/s why we impose such. I admit that these rules and regulations, as a start, had been copied from well-known and prestigious International Ultra Marathon Races in other countries. And through the years, we made some adjustments and revisions of these rules/regulations as a result of our experiences in the past editions of these races, whether they are good or bad! It should be noted that these rules and regulations are there for the safety of the runners, which is the paramount objective of its presence and implementation. The second reason is that we would like to maintain the prestige of the race and the history that goes with it. And the third and last reason is for easier, efficient and effective management of these races. So, from time to time, I enjoin everybody to find time to visit this blog for these rules and regulations. It is the responsibility of the runner-participant to know and remember these rules and regulations. It is also their responsibility to disseminate these rules to the Driver of their Support Vehicle and their respective Support Crew. Ignorance of these rules and regulation will NOT excuse any violators of these rules/regulations as they are very easy to understand or comprehend. Good luck to all the participants of the 2018/10th Edition of the Bataan Death March 102K Ultra Marathon Race and 8th Edition of the Bataan Death March 160K Ultra Marathon Race.